Propel is a safe, innovative device that uses soft, pulsing technology to help expedite orthodontic treatment. It can help move teeth into their desired position up to 50 percent faster than with orthodontic treatment alone and helps minimize soreness that is associated with tooth movement! Propel is used in conjunction with braces or Invisalign to help reduce treatment time. Come in for a free, no-obligation smile consultation with Dr. Larrabee and be on your way to a perfect smile. On average, braces and Invisalign treatment last roughly 12-24 months. When paired with Propel, your orthodontic treatment time can be significantly reduced, helping you to get the smile you’ve always wanted in a fraction of the time. Propel is quick, easy to use and works well with even the busiest of schedules. This hands-free device shouldn’t interfere with your daily schedule. Use while watching TV, reading a book, laying in bed, doing homework, household chores or driving. Propel only requires 5 mins a day. Propel uses Softpulse Technology, which produces gentle micro pulsing to help stimulate cellular activity which helps to expedite orthodontic tooth movement. The mouthpiece connects to an activator that works to generate the vibrational force. This device is small, lightweight and easy to charge making it ideal for travel or life on the go. Propel comes with a streamlined charging port and can also be charged via USB. Its compact travel case is easy to throw in a purse or bag. 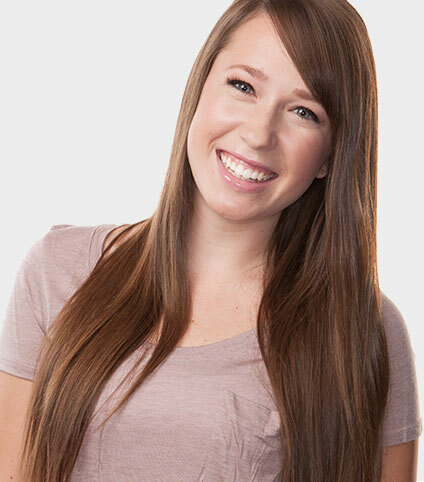 Propel is used in conjunction with braces and Invisalign, not as a stand-alone device. Simply charge your device and fit the mouthpiece section over your fitted braces or Invisalign and allow the soft pulses to work for just 5 minutes a day. The soft pulsations help to move and adjust teeth up to 50% faster, cutting your treatment time nearly in half. Not sure which treatment is right for you? We can help. Dr. Larrabee and Advanced Orthodontics. 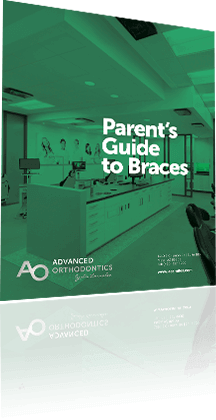 We have been so impressed with Advanced Orthodontics since we walked through the door! The staff is amazing and so friendly and Dr. Larrabee is the best. The experience has been a lot easier than imagined. Everyone is so genuinely concerned about the outcome of the services provided. Advanced Orthodontics is the best out there. The customer service that Dr. Larrabee and his staff provide cannot be matched. From day one you are part of the family. Love my results! Dr. Larrabee and his staff a phenomenal! My teeth are beautiful and best yet, no more headaches from bite issues! See our 300+ 5-star reviews on Google!